click to enlarge… read in it’s entirety. you were gone. i missed you. perhaps drinking your milk was some subconscious, deep-rooted attempt at connecting with you. so asking why i took your milk is probably as unanswerable as asking why the heart does anything. 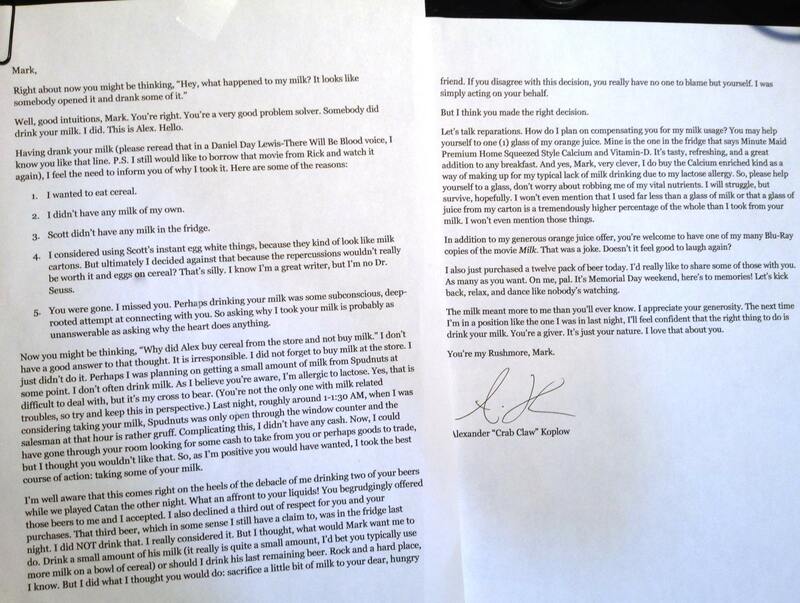 This entry was posted in Entertainment and tagged milk letter, roommate milk letter. Bookmark the permalink.